This one dish meal is often served on our dining table when I am busy with my gardening and baking. 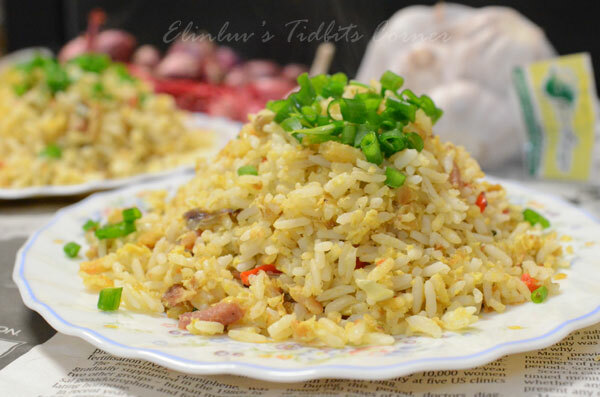 When hubby sees baking in the kitchen , he knows dinner would be fried rice LOL! Heat oil in a non stick frying pan, add in the pounded ingredients and stir fry till fragrant. 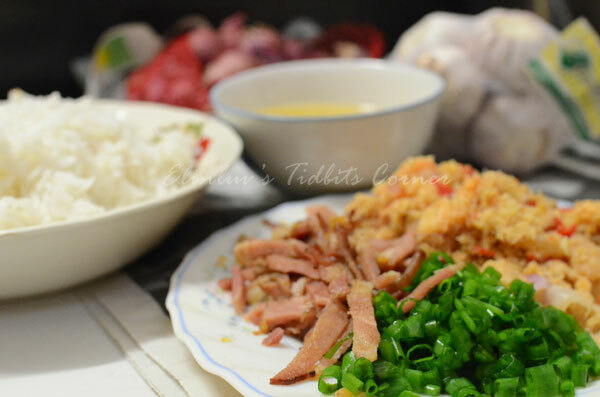 Add in the bacon chips and continue to stir fry till bacon chips are crispy and fragrant. 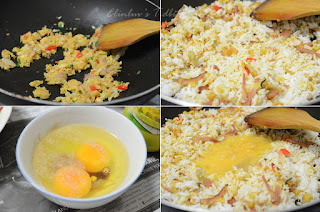 Add in the cooked rice and stir fry till well combined. 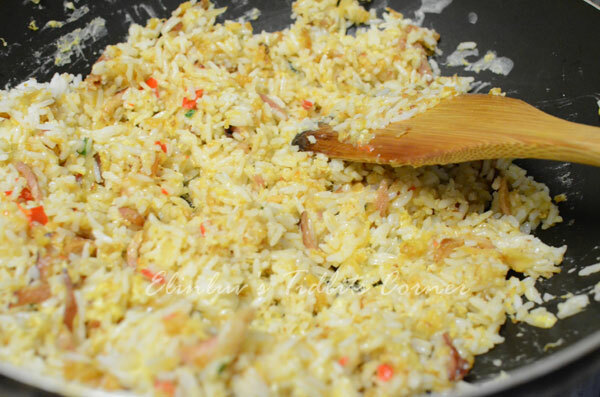 Push rice aside and pour in beaten eggs in the center and cook till the eggs are half cooked , push back the rice and fry till eggs are well combined into the rice. Give it a quick stir fry till rice is dancing on the pan. Add white pepper and salt to taste. Dish up and garnish with sliced spring onions. 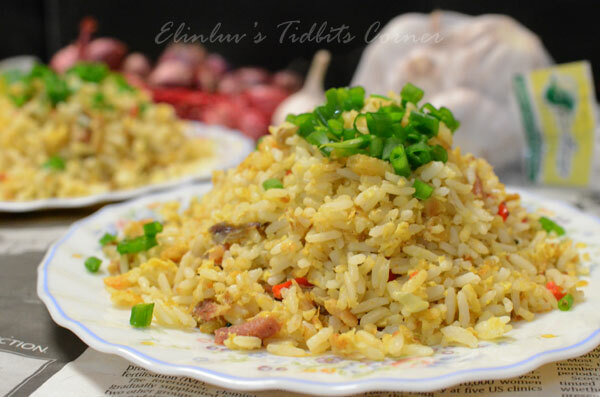 Fried rice is always versatile and soooooo....tasty! I love your golden yellow fried rice.